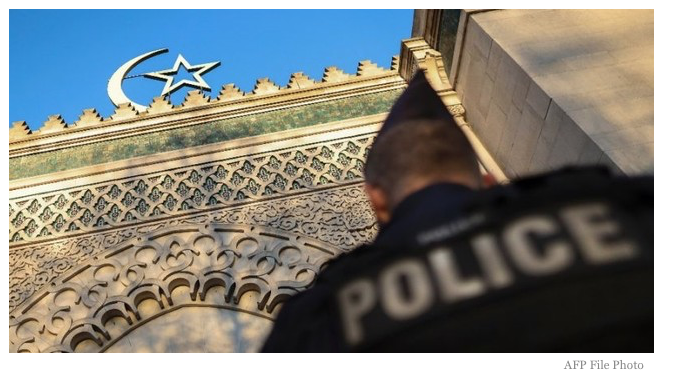 Workers building a mosque in southwestern France found a pig’s head and animal blood at the entrance to the site on Monday, the latest in a series of attacks on Muslim places of worship, in reaction to multiple Muslim terrorist attacks in France and around Europe. 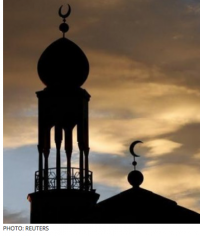 New Indian Express Construction of the mosque in the small town of Bergerac — known for its fine Bordeaux wines and for its association with literary figure Cyrano de Bergerac — has been contested since it was first proposed in 2017 and finally approved in October 2018, despite widespread local opposition. “The perpetrators smeared the walls with animal blood and placed a severed pig’s head” on the front gate of the construction area, the deputy public prosecutor of Bergerac, Charles Charollois, said. The vandalism took place overnight and wasn’t discovered until workers arrived in the morning. “This building project is controversial,” Charollois said. “There have been administrative and legal appeals to stop it, so there are many leads for us to follow.” Bergerac’s police commissioner, Frederic Perissat, “strongly denounced and condemned these acts that damage our freedom of conscience and expression and are contrary to the principles of separation of church and state,” and called for “mutual respect” in the community. Attacks on mosques and Islamic sites have been a yearly occurrence since 2007 when 148 Muslim headstones in a national military cemetery near Arras were smeared with anti-Islamic slurs and a pig’s head was placed among them. Over the past few days, posters declaring “Bergerac is the city of Perigord, not Islam!” — referring to the former name of the Dordogne region — had been pasted around the town, according to its mayor Daniel Garrigue. “I can’t say that they’re connected, but I note that they’re in the same spirit,” Garrigue said. In France, desecrating a religious facility is a crime punishable by up to seven years in prison. Pigs won’t stop mosque building. It also achieves NOTHING. In Muslim-controlled France, three churches are attacked every day. Massively imported Muslims know that Western leaders are on their side against non-Muslims. French police act like barbarian savages violently attacking and severely injuring PEACEFUL French protestors. The EU and Macron and his government are EVIL and SATANIC. What if the land was soaked in pigs blood, to the point where it was contaminated and couldn’t be “cleaned” or the pig blood soaked soil removed? Do you think this would make the spot unusable for a mosque? I would like to see someone try this….it would take a LOT of pig blood though….. But it’s worth a try…..anything that bothers or offends moslems is a good idea…..
At thevery least it would cost moslems money to clean it up…. Nice try but it won’t work. Of course you can’t buikd a Christian or any other church in Saudi Arabia. The left loves Islam and will always help these people. martin, unfortunately, it won’t be enough to stop them from building the eyesore there. Is this the beginning of the counter revolution? Now moslems should be afraid because they won’t be able to determine who is packing a weapon of some sort. This is the land of the resistance. Ive got an even better place for you to take your money…. OUT of America, and Europe and every other Western Nation… How dare this waste of space CAIR dude say that its wrong for the French to implement THEIR laws onto muslims by telling them they cannot pray on the sidewalk, NO religion can pray on the sidewalks of France and it should be stopped in the USA as they are obstructing pedestrians and traffic in general, but I guess we mustnt upset the muslims because they may get angry and attack us….. wait a minute… WHAT!!!! Bit of a waste of pig blood if you ask me. I thought they use it for a type of dessert. Oh sorry I was thinking about Italy my bad. If they didn’t build mosques this would never happen, and if they stopped building NOW it’ll never happen again. Its clear that building mosques is a serious problem. We mustn’t provoke Muslims with Easter, Christmas, and churches; so how come they can provoke us with mosques? 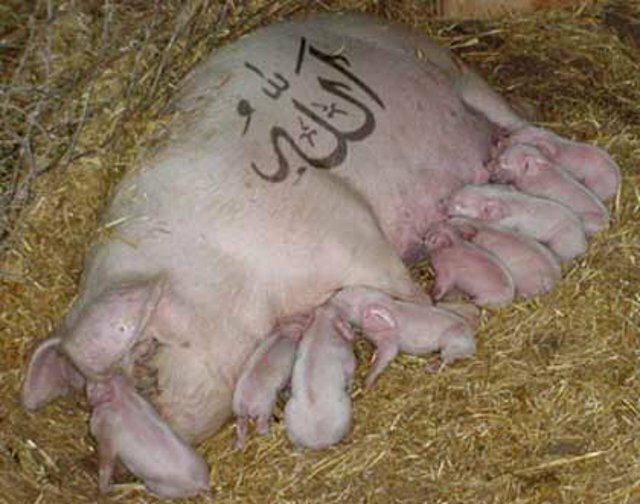 I’ve always wanted 2 potbellied pigs – one called Allah, and the other named as Allah’s Messenger, Mohammed, may pork be upon him. Thanks, what gorgeous piglets !!! It’s worth pointing out Bergerac has a total population of 25,000 all up, but it still has 2 mosques. This will be a 3rd presumably built with money from Saudi with a bonus going to Macron. Perhaps they were trying to sterilise the site, pigs being much cleaner than muzz-rats? I would rather own a pig, than own a Muslim. Here Little Muslim, Here Little Muslim. Pigs are said to make great pets. Muslims not so much. Apparently pigs are quite intelligent. Their intelligence is equal to a 3 year old child. Much higher than your average Somali Muslim. Yes and no worries of Sudden Jihad Syndrome. Why didn’t he say Muslims should leave France? The hell with vacationing there, just leave. Muslums stay because of Hijra & live off the non Muslums. Tourists bring in money, and they don’t want that! Islamists are in need to go on slave auction block in Libya if they can not afford pilgrimage to Mecca/Kaaba rock stolen from peaceful Hindus. The only foreign aid Saudi Arabia provides is to build Salafist mosques in Western countries.